Thickening liquid soap is a challenge faced by many soapmakers. Most liquid soaps will be water thin after fully diluted. Still a high quality soap, but not always as easy to use. Foamer bottles are great for hand soap, face soap - any soap that will sit next to a sink. When formulating body washes/gels and shampoos, thin soap can be more difficult to use and wasteful as the soap will run down one's hand and arm. Some formulations (100% olive oil soaps) can thickened with a simple 20% salt solution that works well. Other formulations have proven more challenging in finding a consistent thickening product or method. Some ingredients/products I have seen mentioned with varying results are Borax, Glycerin and Crothix. I don't use Borax, have never found glycerin to thicken any of my soaps and have never tried Crothix. The product that I have found to work extremely well and consistently for every soap formulation is Hydroxyethel Cellulose or HEC. This product is sold by both Lotioncrafters and The Herbarie. I use the one from the Herbarie so I cannot verify that these instructions will work with the Lotioncrafters HEC. The most important thing to keep in mind when using this product is that the "gelling" process is accelerated by both heat and Ph of the liquid. 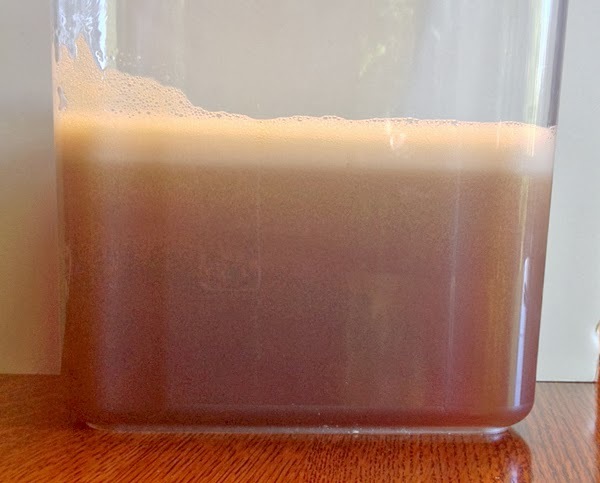 If it is added to warm or hot liquid or as it heats up, it will start to gel very quickly and not give you enough time to get it fully incorporated into your soap. The last thing you want is your HEC to be in a gelled state before you add it to your liquid soap - it is much easier to use when your solution of HEC/glycerin/water is in a liquid state. 1. 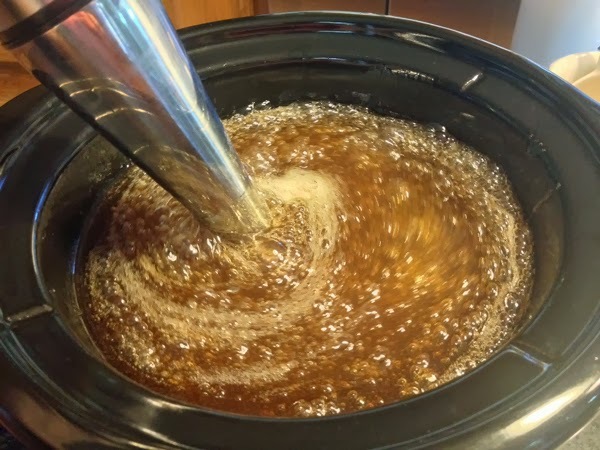 Pour your liquid soap into the crock pot. 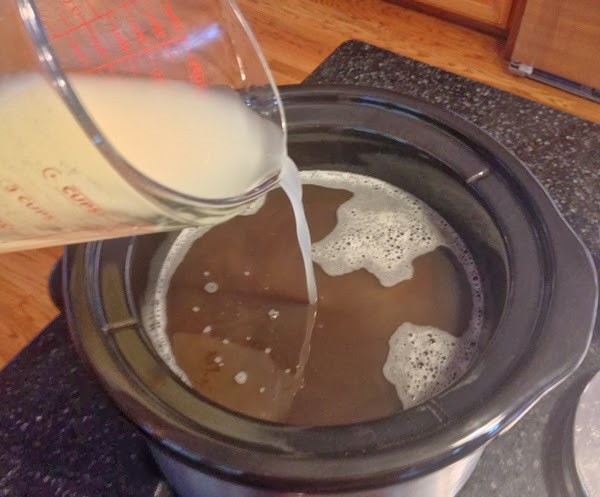 Make sure that there is a few inches space between your soap and the top of the crock pot for mixing without overflowing. Do not turn on the crock pot. 2. Determine how much HEC you need for your desired thickness. Typically this product is used at 1 - 1.5% of your diluted soap weight. This is where you will need to experiment to determine your preferences. I use 1.3% for liquid shampoos and 1.5% for body washes. I like the products thick enough so that they do not run down your hand or nylon scrubby when dispensed but not too thick that they are difficult to dispense or clog the bottle cap openings. I make the shampoos slightly thinner so that they are easier to distribute throughout one's hair. So, ounces of soap X percent HEC = ounces of HEC needed to thicken your soap. 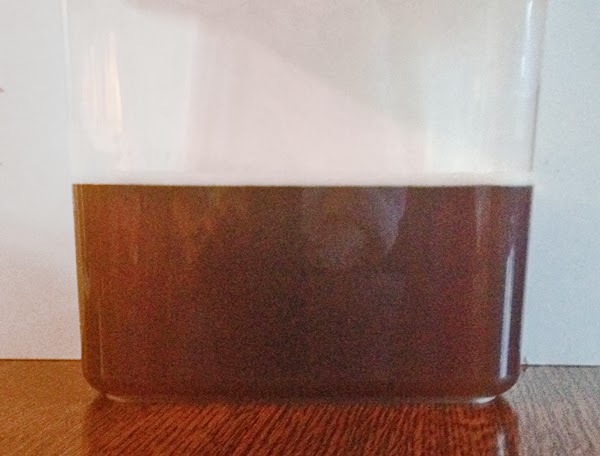 For this tutorial, I am thickening 83 ounces of my liquid goat's milk soap at 1.5%. 83 x .015 = 1.25 ounces HEC or 35 grams. Measure out the HEC and set aside. 3. Determine amount of glycerin for initial wetting of HEC. 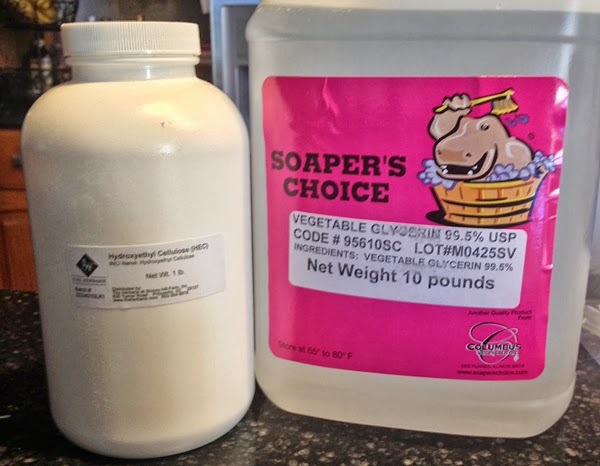 I use vegetable glycerin since it is a solvent and makes it easier to dissolve the HEC. I use glycerin in an amount 3 times the amount of HEC. For this tutorial, I will need 3.5 ounces glycerin. 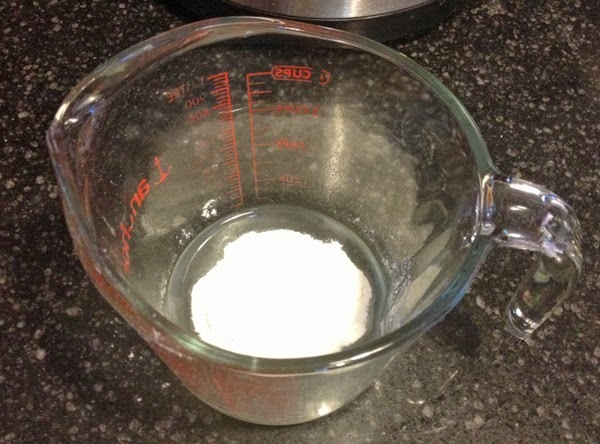 Measure out the glycerin into your mixing bowl or container. 4. Add the HEC to the glycerin and whisk or mix it in. Because the glycerin is a thick viscous liquid, your mixture will be very thick. You can use it like this, but it is difficult to get it all out of your mixing bowl. This is why I add a bit of distilled water (boiled and brought back to room temperature) to the glycerin/HEC so that it is more fluid so as much of the HEC mixture gets into my soap and not left on the sides of the mixing bowl. You don't want to add too much water or you will throw off the thickness percentage you had previously calculated based on your diluted soap weight. 6. 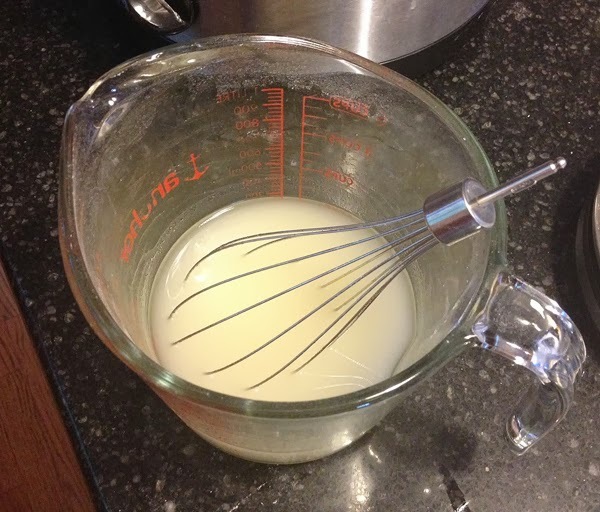 Add your previously boiled room temperature distilled water, 3.5 - 4 ounces here, to your HEC mixture and whisk it in. Continue to whisk this mixture continually for at least 5 minutes to make sure that all HEC is dissolved. 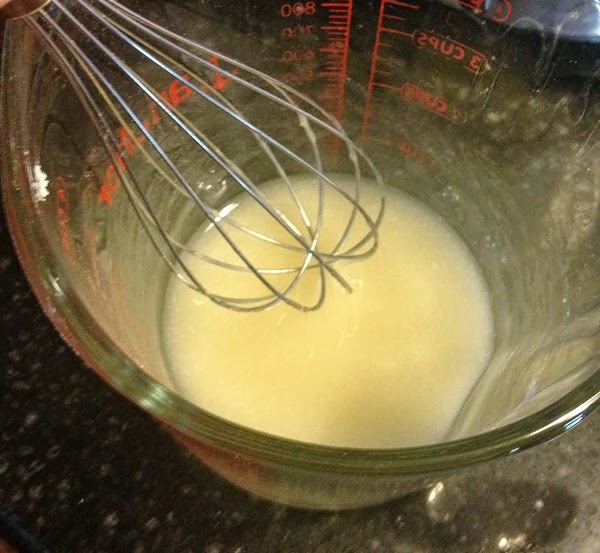 Since this mixture is not clear, it is not easy to tell, so extended whisking helps to ensure that all HEC is dissolved. As long as your mixture is room temperature you do not have to worry about it starting to "gel" on your before adding it to your soap. NOTE: you do not need to add any water or you can use all water or all glycerin - this is personal preference. Just use an amount of liquid at least 3 times the amount of HEC. Also, adding too much liquid will dilute your calculated percentage of thickening since it is calculated based on your diluted liquid soap. 7. Slowly pour the HEC mixture into your liquid soap and mix throughly with a whisk WHILE you are pouring it in. Keep slowly whisking this mixture. You will notice that the soap will start to slowly thicken as the HEC further hydrates as it is exposed to the higher Ph of the soap. 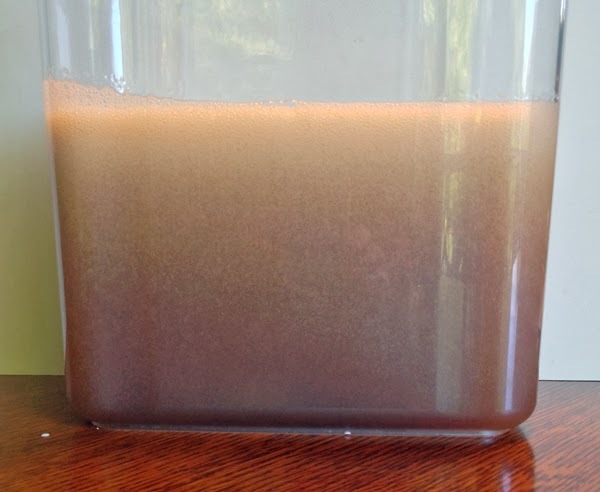 Starting the soap at room temperature keeps this thickening slow and controlled for the initial distribution. If your soap is warmed up beforehand, the combination of the higher temperature soap and the higher Ph will cause you to get clumps of gelled HEC mixture. This does not ruin your soap as you will still be able to use your stick blender to fully distribute it, but it does make for a messier and less controlled process. 8. Once your have added all your HEC mixture and mixed it thoroughly, turn the heat on to heat up your soap. In order to get as smooth a finished product as possible (no "fish eyes"), we will mix it thoroughly every so often as it heats up or stick blend the soap. If you start at room temperature, whisk the HEC mixture as you add it to the soap and mix occasionally as it heats up, you will not have to stick blend it. 9. Once your soap reaches 163 - 170 degrees F (this is the recommended temperature for full hydration from the vendor), check the smoothness of your soap. Stick blend on the lowest setting for about a few minutes to fully smooth out your soap if necessary. 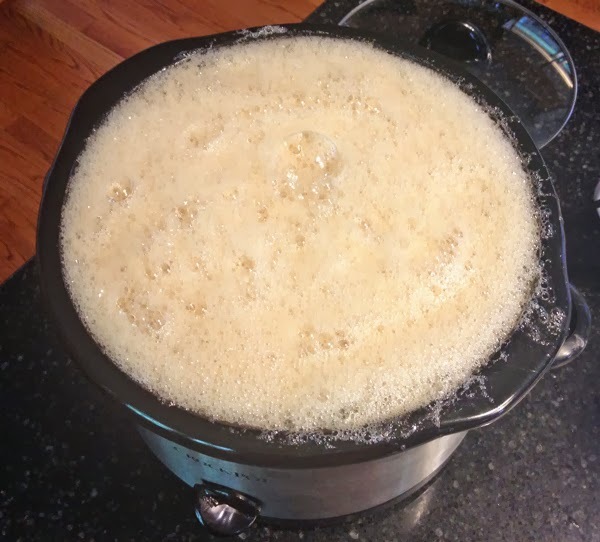 Your soap is going to foam up so make sure you have that extra space in your crock pot. This one foamed up a bit more than normal probably due to my testing of stick blending at various temperatures with this batch. You can scoop off some of the excess foam too. But don't worry, as your soap settles, the foam will clear. I find the lower the temperature of the soap, the more foam you will get. You may also choose not to stick blend but to whisk the mixture every so often as it heats up. This will also work if you slowly heat your soap back up and do not find chunks of gelled soap in it. The thickness you have at this point while hot will not be your final thickness. The soap will seem a bit thinner or more fluid while it is not. Once it cools, it will be back to the thickness you had at the lower temperatures. 10. If you are going to fragrance your whole batch, you can add your fragrance or essential oil now or as the soap cools down. Do not use the stick blender to add your fragrance/essential oil - just gently mix or fold it in to distribute it thoroughly. Fragrance and Essential Oils can affect your finished soap so make sure you use those you have already tested to see how they work in your liquid soap. You can also store your soap unscented and fragrance it at a later date for customized scents. I am scenting this with a combination of Lavender, Lime and Peppermint Essential Oils which I added when the soap cooled to below 140 degrees. 12. Pour your thickened soap into a clear container so that it can settle and cool down. Pour while still warm and more fluid so that the embedded bubbles can rise up and dissipate out easier. Once all bubbles/foam have cleared you can pour into individual bottles (use a funnel) or store as is until needed. The finished and packaged thickened liquid soap. This is my preferred method to consistently thicken liquid soap. Hope that you find this method easy and successful. Just remember, both heat and Ph will accelerate the thickening process so keep everything at room temperature until after you add the HEC mixture to the diluted liquid soap. Great post, thanks! My shampoo seems to have come out quite a bit thicker than I wanted (stringy!) but it's usable and much better than the very thin liquid of my normal liquid soaps. I'm sure I'll get the hang of it. Meanwhile I have enough shampoo to last a year! I am so excited to try this technique! I would like to try thickening my liquid soaps. Your tutorials and instructions are fantastic - thank you for all the hard work putting these together! This worked like a charm for me! I used 1.5% HEC for my hand/shower soap. Thank you for your tutorials! Just like you said, this method works every time. I love it! thanks again for the great tutorial! So glad I found this article. I followed your directions, and after 12 hours, I still have quite a bit of foam on top, so what would cause that? How I mixed it? My soap was clear before adding HEC. You can try to spray the surface with rubbing alcohol to remove the bubbles but if the foam is thick (and not due to separation from some other cause), you may be able to scoop it off the surface. But, I would let it sit for another 12 hours or so to see if the bubbles dissipate by themselves first. I have found that my liquid soap looses a lot of its bubbly. Has anyone else experienced this???? Hi Faith - thanks for all the hard work you put into your tutorials. They have been SO helpful in my quest for the best liquid soap :) Question...Have you ever used Lauryl Glucoside to thicken your LS? I've recently been tipped off that this works well and am just curious what your experience is. Greetings from Sunny South Africa! Hi Pauline - I am so glad you find the tutorials helpful. I have not used Lauryl Glucoside the thicken soap so I can not offer much advice there.